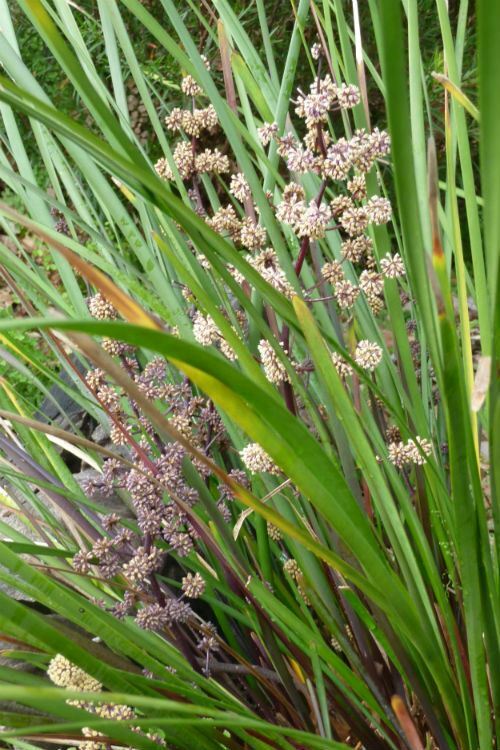 This Lomandra is found in Northern Territory, Queensland, New South Wales, Victoria and South Australia and also in Papua New Guinea. 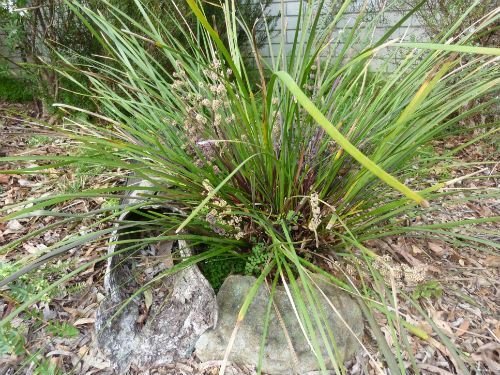 I have been growing Lomandra multiflora in my garden in the northern Sydney suburb of Westleigh for many years. My plant is growing in a thin layer of topsoil over a clay sub soil and receive little additional watering once they were established. I like this plant for two reasons, its new leaf and flowers growth has a purplish tinge to it and when the flowers open they are a lovely cream colour. They grow well in full sun or partial shade. I suspect my plant would flower much more spectacularly if I transplanted it to a position in my garden that is not as dry as where it is currently growing. I must pluck up courage to move it and divide it into two plants at the same time. Another alternative for me is to raise some more plants from seed as my research indicates it can be easily propagated from seed. The seed needs to be sown soon after collection and germination takes 8-10 weeks. 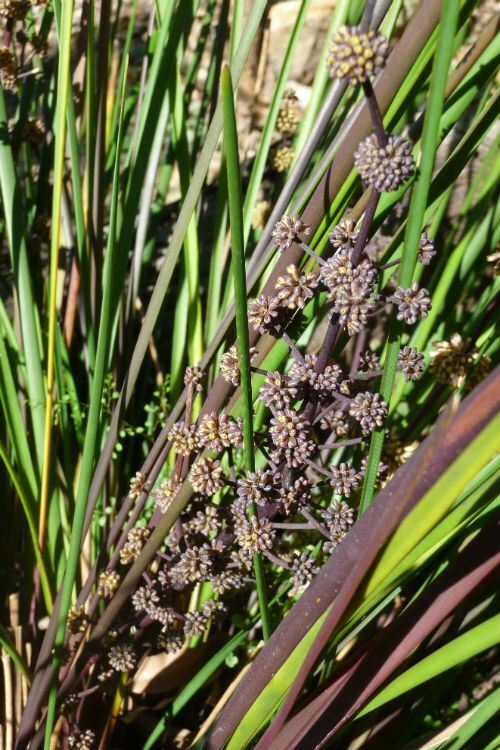 The other sub species of Lomandra multiflora is L.multiflora subsp. dura and it differs in the flowers being more of less hidden in hard bracts. This subspecies is restricted to South Australia. Multiflora -- from Latin multi, many and flora a flower, referring to the flowering habit of the plant.